Posted by Jenny in Life experience, nature. A good section of river for a bald eagle. 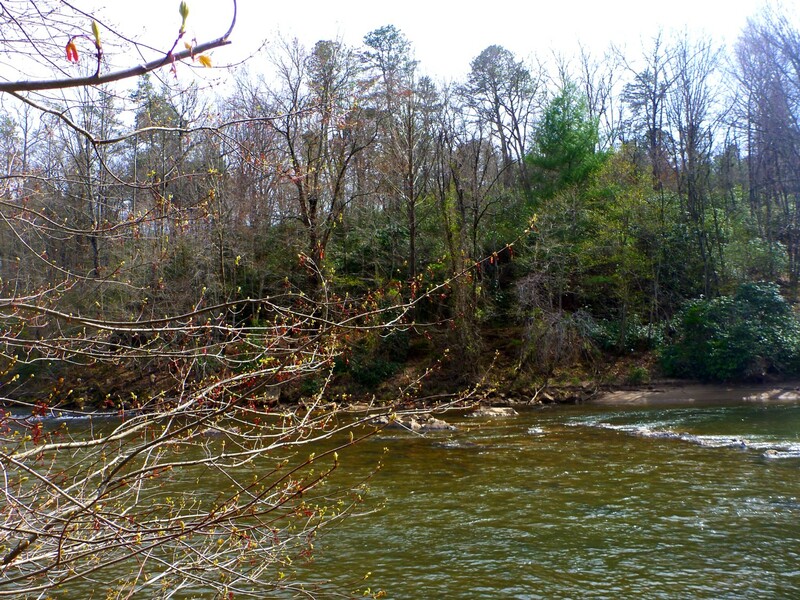 From my house overlooking the Tuckasegee River, I occasionally see a bald eagle gliding over the water, upstream or downstream. 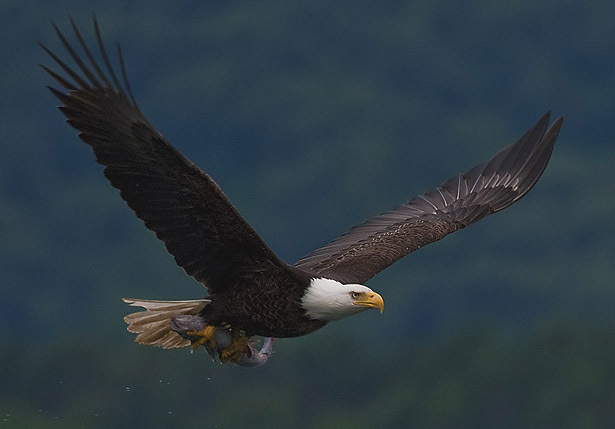 I think of it as being the same eagle from one time to the next, though it would be hard to say for sure. When I see it, I always feel that I’ve received a gift. 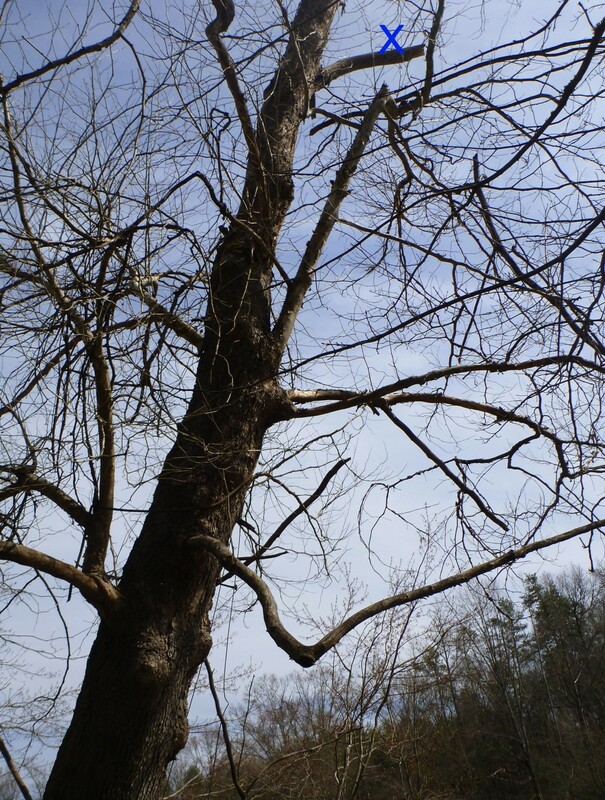 This morning the eagle flew up the river, circled around, and settled on a half-dead tree on the riverbank. I grabbed my binoculars and got a good look. It was an old eagle! A weatherbeaten eagle! Its feathers looked… scuffed up! This eagle had fought a few battles in its life. I have no photo of it to share. That would require a much better lens than I have. It sat in the tree for a long time. Perhaps it was tired. Perhaps it was reflecting on the deeper meaning of life. Somehow, along the way, in my mind, it became my eagle. I know… kind of silly. What makes us want to possess something in nature? Of course wild things can’t ever be truly possessed. 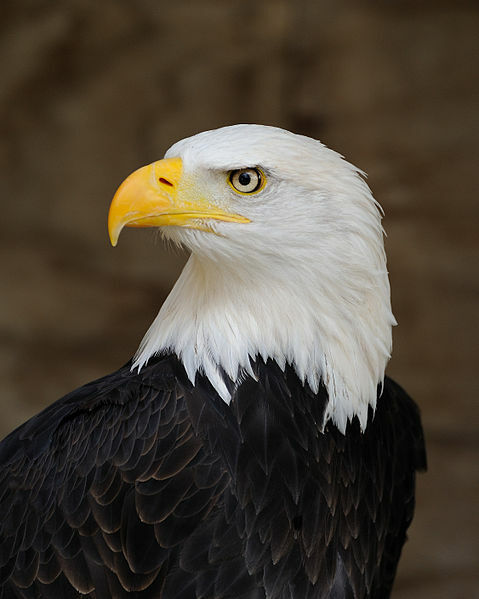 Nevertheless: my eagle. I connected with it. I related to it. I wanted to pat it on the head, say comforting words. Later in the day I walked down to the river. “X” marks the spot where the eagle perched. Bluets grow under the eagle tree. An experience hard to describe. A strange blend of feelings, leaning dangerously close to the pathetic, but with something restorative and affirming as well. I will look for the eagle’s return. 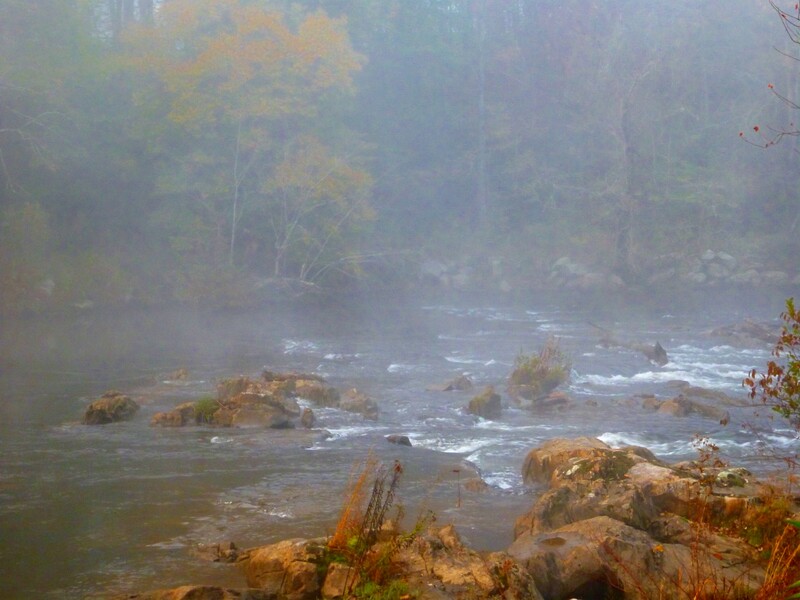 Posted by Jenny in hiking, nature, Smoky Mountains, weather. 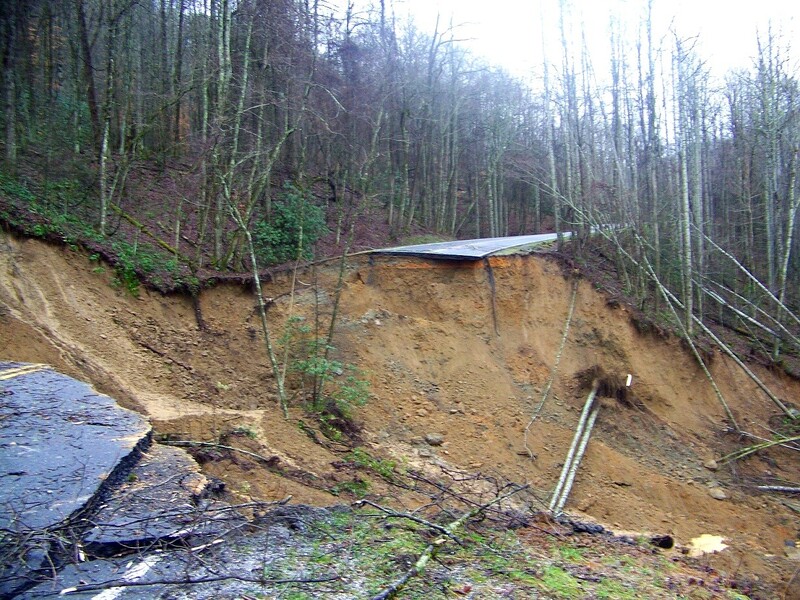 1/29/13: We’ve finally gotten an estimate of when Highway 441 (Newfound Gap Road) will reopen: “mid-May to early June.” We’ll see. 4/24/13: The road reopened April 15. Those contract incentives for early completion really did the trick! The town of Cherokee kicked in some for the incentives. I’ll be up past the repaired road section very soon. It started raining four days ago. I was driving home across the Smokies from the Pigeon Forge Wilderness Wildlife Week, where I’d given a couple of presentations about my book Murder at the Jumpoff. It had just started to drizzle, but I wanted to get a bit of exercise, so I pulled off at the Kanati Fork trailhead and did a quick 6-mile, 2000′ vertical hike. That day’s precipitation didn’t amount to much, but on Monday it started to rain in earnest, and it’s still pouring now, Thursday afternoon. There was a let-up for a while yesterday, and I got out and checked conditions in the Plott Balsams. West Fork of Fisher Creek. The streams were all raging. 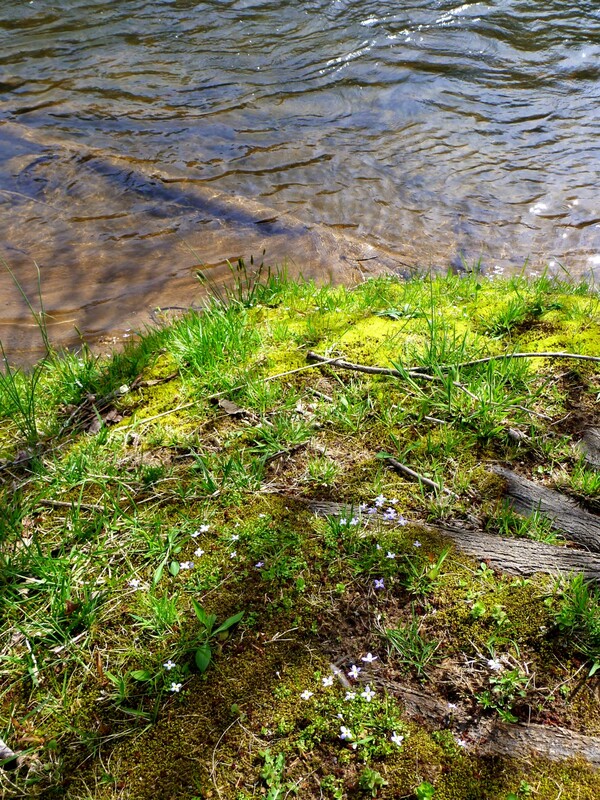 They are small streams, but somehow the effects of the flood are more impressive in them than in large bodies of water like the Tuckasegee River, which flows below my hillside house. The streams are completely transformed, becoming wide ribbons of pure frothing white, unlike their normal calm, translucent selves. The change from “trivial rivulet” to “dangerous torrent” does tend to make one wake up and pay attention. The basin of the Tuckasegee simply filled up steadily, like a bathtub. It has not yet overflowed its banks in this portion. The rapids that I see from my house are not more numerous than the rapids I see hitting the rocks in times of low water levels, but they have a different shape. The rocks are all submerged, of course. 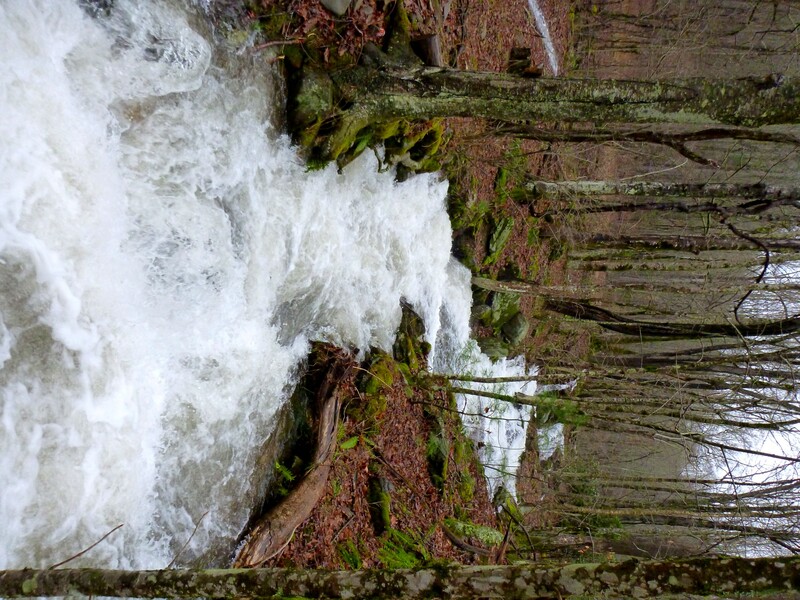 The rapids now take the form of standing waves that form, crest up, collapse, and re-form in a regular pulsating rhythm. The water is a murky, ugly shade of gray. In the Plotts yesterday, I saw strange things that had to do with the high water table. 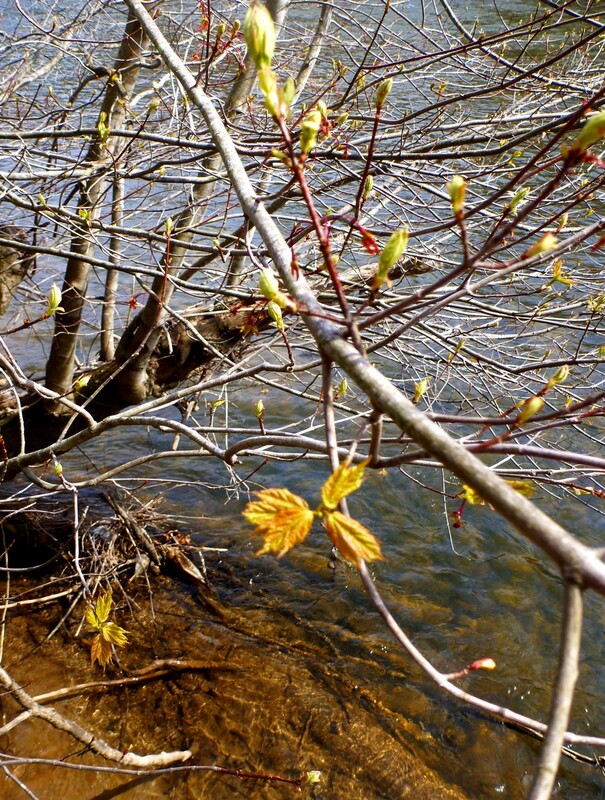 Walking along the East Fork trail, looking at a slope covered with oak leaves, I saw a good-sized flow of water spurting up among the leaves, like a spring. I couldn’t tell whether the water upslope of it was flowing invisibly between ground and leaves or whether it had in effect formed a temporary spring by flowing below ground, under pressure, along a subterranean pathway normally above the water table. In other places water ran across the trail, disappeared under the leaves, then re-emerged lower down. 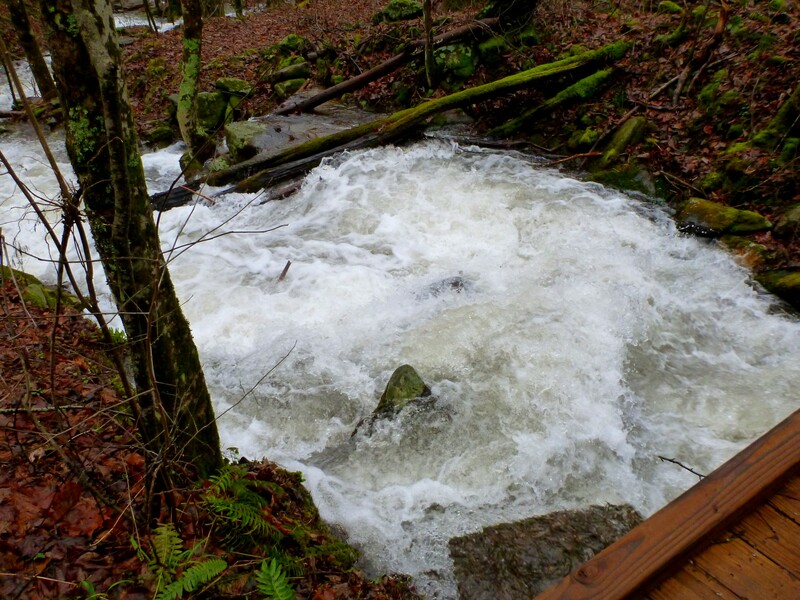 As always happens in big rains, the trail itself would become a streambed for a while until the water found a depression to the side and flowed off. Then the process repeated further down the hill. With the continuing downpour, the slide must be getting worse. It’ll be a while before they can even make an assessment of the damage. This means that North Carolinians will have to drive a long, long way around to get to the heart of the Smokies, the places I like best to explore. Well, could be worse—I-40 could be closed because of a landslide in the Pigeon River Gorge, as has happened many times. Wait a minute… I shouldn’t have said that… Please, gods of highway geology, don’t let that happen too! Posted by Jenny in nature, poetry. splashes. Not quite a seamless hum. of its sound proceeded purposefully upstream. of time in opposite directions.